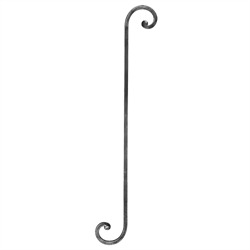 Forged Steel Baluster w/Scroll Ends. 8-1/4" Width x 31-7/8" Height. [A] Forged Steel Baluster Scroll Ends. 31-7/8" Height. 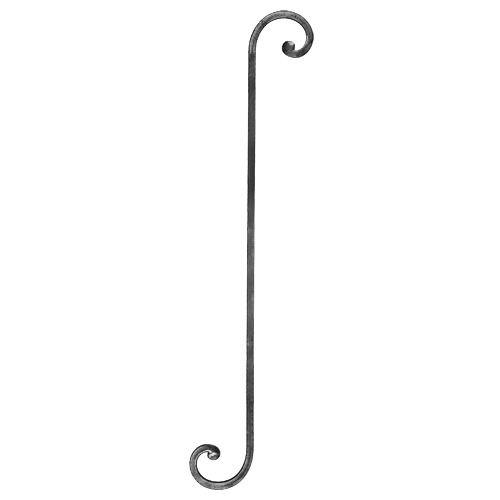 [A] Forged Steel Baluster w/Scroll Ends. 8-1/4" Width x 31-7/8" Height. [A] Forged Steel Baluster Scro ll Ends. 29-15/16" Height. [A] Forged Steel Baluster, Scr oll Ends. 33-7/8" Height. [A] Forged Steel Baluster Scro ll Ends & Knuckle 29-15/16" H.